The ski areas in North Conway, NH are some of the country’s earliest ski hills. 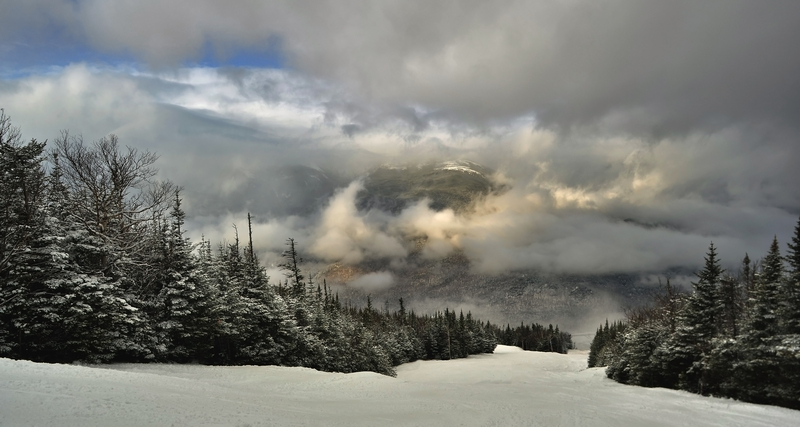 Dating back to the 1800s, the White Mountains have been attracting skiers of all stripes for more than 200 years. 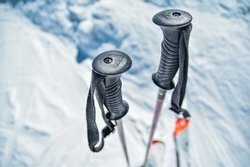 Whether you’re looking for a black-diamond challenge, family-friendly cross-country skiing in North Conway, full-service chalet skiing, or the rustic back-country skiing that brought skiing to America, the area never disappoints. Book a stay at Stonehurst Manor for the best of everything: combine 19th century elegance with a modern ski getaway. The manor’s location in the heart of Mount Washington Valley means we are a short drive from a number of full-service ski resorts and mountains. Wildcat Mountain Ski Area near North Conway is one of New England’s finest! The mountain’s vertical drop (a thrilling 2,100 feet) is the second largest in New England and the ski area has the longest trail in the state. Wildcat also provides some of the best scenery, with views that stretch all the way to the Atlantic Ocean on a clear day! Combine a visit to Wildcat with Attitash, also owned by Peak Resort. This resort spans across the connected mountains, Attitash and Bear Peak. Enjoy the rustic, challenging trails New England is famous for along with easier, more open trails suitable for beginners. This resort also has a large ski park for tricks and trials. 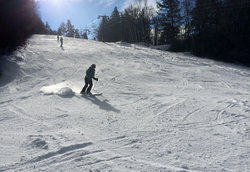 The only ski area in North Conway, NH itself, Cranmore is just a 3-mile drive from Stonehurst Manor. If you’re looking for fun and comfort, Cranmore is a large ski resort with numerous terrain parks and a wide range of off-hill activities, making it a good choice for families and skiers still learning the ropes.